The Minister for Sport, the Hon. Steven Linares led a delegation to the Myrtha Pools Headquarters in Castiglione della Stiviere, Mantova, Italy. Myrtha have been contracted to construct and install the 52m swimming pool at the Lathbury Sports Complex and the visit was an opportunity to witness the design, engineering and manufacturing processes. 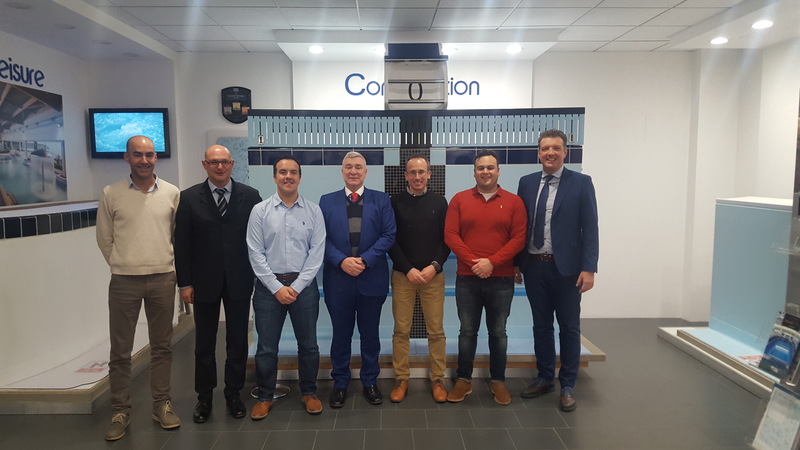 The delegation also included the Gibraltar Sports and Leisure Authority’s Chief Executive Officer, Reagan Lima, Gibraltar Joinery and Building Services Ltd’s Charles Savignon and Gavin Santos from the Gibraltar Amateur Swimming Association. The party also had a chance to go on site at Bocconi University in Milan where Myrtha are also building a similar pool to the one they will install in Gibraltar.